Jeffrey Kinney was born on February 19, 1971 in Maryland, USA. While he was in college, he created a comic strip called Igdoof, and wanted to become a cartoonist. 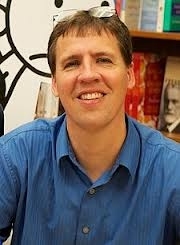 Nowadays, he is a game designer, cartoonist, and author of his famous series, Diary of A Wimpy Kid.